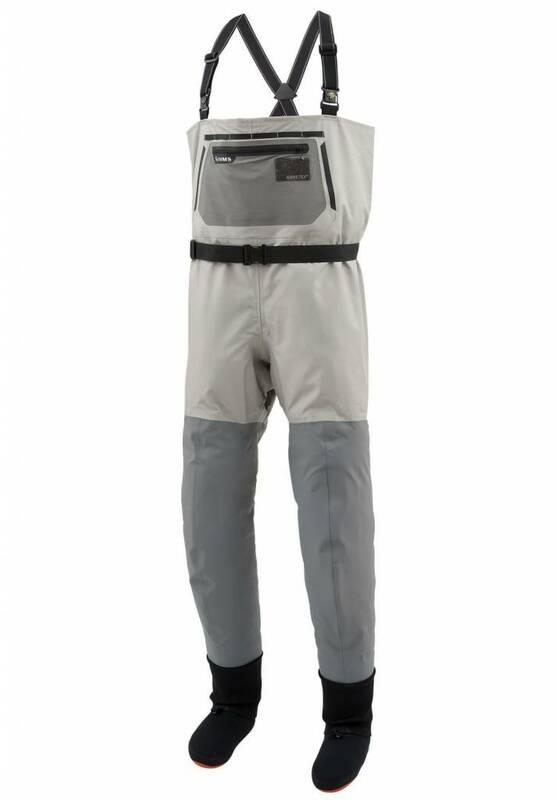 USA-made waders powered by G3 Guide™ architecture and GORE-TEX® tech Simms new Headwaters™ Pro Stockingfoots are handcrafted from 3-layer GORE-TEX® Pro fabric and powered by our industry-leading G3 Guide™ architecture. Patented front- and back-leg seam construction boosts both mobility and durability on the trail and in the flow. Pass through handwarmer pockets provide a cold-weather sanctuary, while chest storage pockets provide ample capacity for tools and fly boxes. Highly considered details include accessory activation via an internal zipper carrier built to sync with Simms Tippet Tender™ pocket (sold separately); adjustable 1.5" elastic suspenders with opposing buckles for waist-high conversion; and belt loops with multiple height options for superior fit. 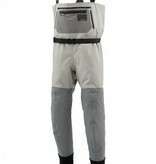 Abrasion bucking, built-in gravel guards and anatomical hourglass stocking feet round out this IFTD 2016 award-winning wader.